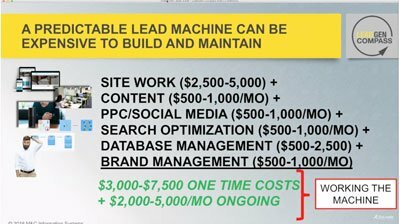 HOW DO I GET MORE B2B LEADS FOR MY BUSINESS? 30 information packed minutes about the origins of LeadGen Compass and why we think it might be the most cost-effective way for your company to build a predictable, profitable B2B lead generation machine for your business. 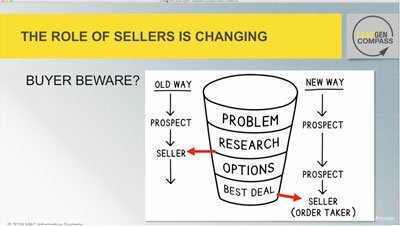 In our buyer’s eyes, the role of sales and sellers is changing. If not now, then certainly in the next three years. If buyers think they can design their own solutions, how will you generate leads? Your people are swimming in data. When it comes to generating leads, the question is how do we balance new data coming from early stage prospects, with the quality of the lead? Have a goal in mind that your team works toward is our answer. With all the specialized industry information out there, where do you turn for generating leads in your industry? 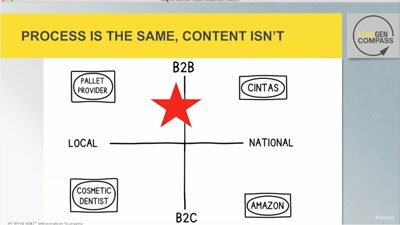 A LeadGen Compass we say focus on process. You are the content expert, get help from a process expert. 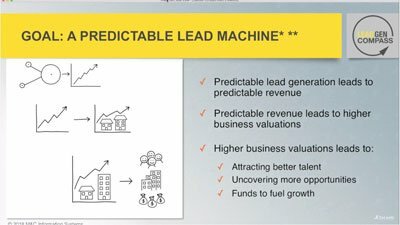 The goal is a predictable lead machine for your business. It’s what our hundreds of conversations with customers told us, and it’s the goal we set out to achieve. Making it more of a challenge, it has to fit YOUR specific sales cycle. . .and be cost effective. 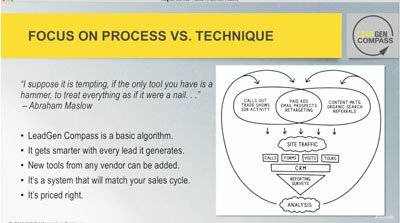 The first challenge is building a lead machine that can be adapted to your specific sales cycle. 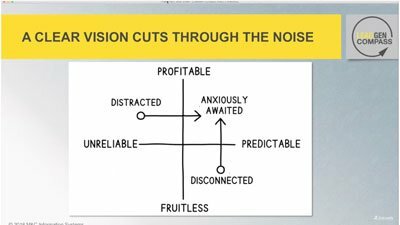 By focusing on process and taking our attention away from the tools being used, we can adapt our process to fit your sales cycle.